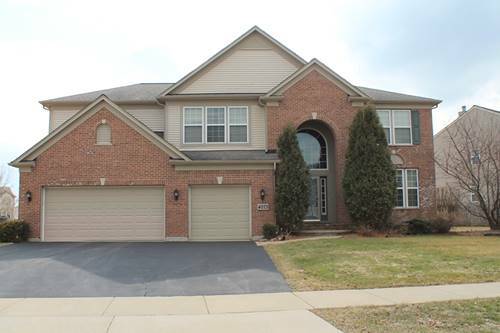 ***PRICE REDUCED***Elegant Brick front in Winchester Glen. 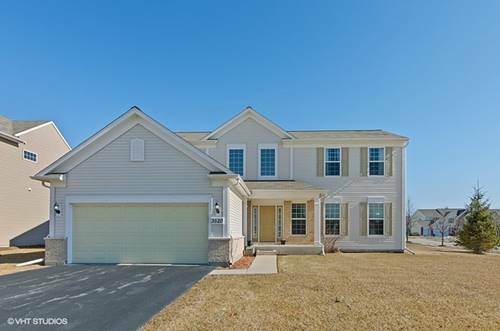 Devonshire model, with upscale finishes, 4 bedrooms and a main floor office. Partially Finished basement and 3 car garage. 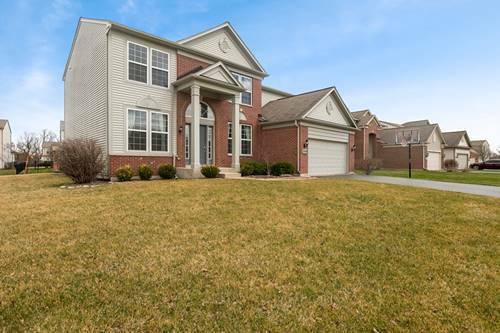 A grand two story foyer with wainscoting and upgraded trim package, Hardwood floors that continue into the kitchen. Combined Living and Dining leading to a true two story ceiling family room with massive two tier windows and slate floors and wood burning grand fireplace. Upgraded kitchen with 42 inch cherry cabinets and gleaming counters, S.S appliances. Office off of the Fam.Rm. Laundry with front loading washer dryer and sink. Upper floor with two lookouts. Grand Master suite with Tray ceiling, two WIC, one with windows. True 4 piece master bath. Generous size spare bedrooms, Second full bath, great closet space. Partially finished deep pour basement and fenced yard. Motivated seller. Bike paths, Play areas and ball fields in the subdivision. 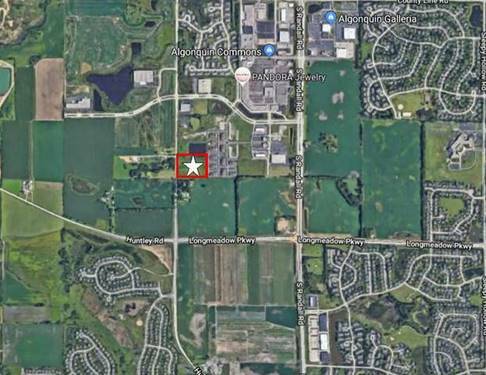 For more information about 4015 Stratford, Carpentersville, IL 60110 contact Urban Real Estate.